Title: 'Scotia Regnum'. German text on verso. 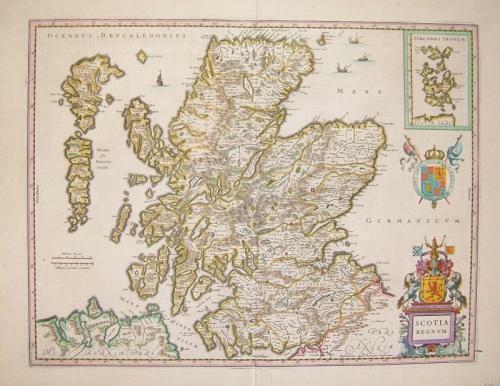 A fine decorative map of Scotland decorated with two armorials and an inset of the Orkneys. In very good condition with only minor toning at the papers edge and a 1 cm worm track in the lower right margin (visible in the image).